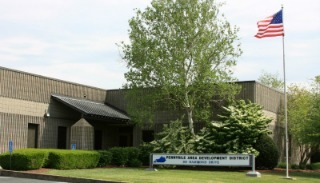 ​The Pennyrile Area Development District is a public planning and development organization collaborating with local leaders, agencies and staff striving to support regional strategies, solutions and partnerships that improve the overall quality of life for the citizens of the Pennyrile region. PADD brings local civic and governmental leaders together to accomplish major objectives, taking advantage of opportunities which cannot be achieved by those governments acting alone. The PADD is motivated to educate and empower communities by implementing quality services through specific expertise in Aging, Community and Economic Development, Human Services, and Workforce Development for western Kentucky's nine (9) county Pennyrile region, which includes Caldwell, Christian, Crittenden, Hopkins, Livingston, Lyon, Muhlenberg, Todd and Trigg counties. 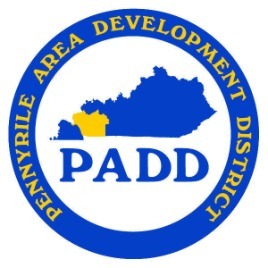 PADD’s mission is to provide the Pennyrile region with the highest quality of professional planning, development and implementation services in the areas of community and economic development, workforce, transportation, social services, and public administration. This mission shall be carried out under the direction of the PADD Board of Directors with an emphasis on integrity, professionalism, efficiency, and continuous quality and customer service improvement. From US-68, turn right onto the Eagle Way Bypass (US-68 Bypass) approximately 3 miles west of Hopkinsville. This will be the first light you come to after leaving the Interstate.